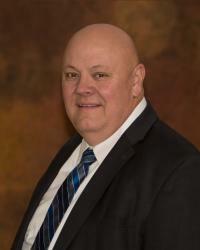 Randy Moczygemba is Superintendent of New Braunfels Independent School District. He was employed by NBISD in 2007 as Assistant Superintendent for Business and Operations. In 2009 he was promoted to his current position. Moczygemba holds a Masters in Education and Bachelor of Science, both from Texas Tech University. He has been in education for 33 years. He began his teaching career in 1985 as an Agricultural Science Teacher. He has held multiple administrative positions in other districts including Superintendent, Assistant Superintendent, Principal and Assistant Principal. He also served as a school board member at Lamesa ISD. Randy is married to Stephanie Moczygemba and they have two daughters, Candice Cross and Charlcy Nichols, who are both educators. They are also proud grandparents of Emerson Cross, Addison Cross, Mason Cross, Jackson Nichols, Graceyn Nichols, and Harrison Nichols. The Moczygemba’s love to spend time with their family on the farm in New Braunfels and traveling with them on various RV trips throughout Texas and across the nation. He is a member of The New Braunfels Noon Lion’s Club, The New Braunfels Chamber of Commerce and Oakwood Baptist Church. In his spare time, you will find him growing and canning vegetables, making home-made sausage and jerky, and raising a variety of livestock, all with the intent of providing learning opportunities for the grandkids. What is one thing on your bucket list? One of my bucket list items is to visit all 50 states. I have had the opportunity to visit portions of 28 states. Twenty-three of these states were accomplished in two two-week driving vacations when our children were elementary and middle school age. Our destinations included places that they were studying in school such as Yellowstone National Park, Glacier National Park, Mount Rushmore, Nashville, and New York City. One of our most cherished photos is one with my daughters waiting on the ferry to the Statue of Liberty with the twin towers in the background. Who is your favorite superhero? I have two favorite superheroes. They are my high school Ag Science Teacher, Bobby Lee and my high school English Teacher, Judy Womack. Being from a 1A high school, I had classes with both of them for four years. High school was a real challenge for me as I worked 20-40 hours per week and was the primary caregiver for my father who was disabled. Bobby Lee challenged me as a Freshman academically to make the best grades possible and that he would help me to pursue a college scholarship. He also pushed me to be involved in multiple leadership competitions through the Future Farmers of America. Judy Womack challenged all students to do their best work in class. She would write RE-DO in red ink on any assignment that you did not put your best work into, and yes, she did make you re-do it. She also challenged me to compete in UIL speaking competitions and UIL One Act Play. I chose to become a teacher because of these two superheroes. My goal was to encourage students to be successful just as they had encouraged me. This was my way of paying forward all that they had done for me. Some of my proudest moments in education are having my agricultural science teams competing at the state competitions, having a student receive the same scholarship that I received and coaching a UIL One Act cast to the state UIL One Act Play Contest. Seven years after graduation from high school, I was again challenged by these two former teachers. Bobby Lee was on the school board at Wilson, Texas, my hometown and he and the other six board members asked me to come back as secondary principal because they wanted someone they felt could make a difference. Judy Womack was still teaching English Language Arts. As her supervisor, I never did ask her to Re-do a lesson plan, although the thought did cross my mind. If you could go on a free vacation anywhere in the world, where would you go? If I could go anywhere in the world for free, it would most likely be Alaska. This is one of the states still on my bucket list and I would like to do an extended tour including both a cruise and a land adventure. I absolutely would have to get in some fishing.